More Spring Previews for 2014! It be time to take your first glimpse at the Maria Celestia. Use your arrow keys, or click and drag with your mouse, while viewing the panorama to look around. Use the Shift and Ctrl keys to zoom in and out. And don’t miss our special highlights video spotlighting a few new upcoming features–some you haven’t even heard about yet! I think you’ll be especially interested with the “Doubloons” section of the video. Pretty much the whole thing rocks. This entry was posted on March 31, 2014, in News and tagged games, Kid friendly, kid safe, news, newsletter, online, Pirate101, Pirates. There’s a new Sneak Peek panorama up! Come take a look inside The Circus Maximus from center stage. Sneak Peek of Circus Maximus. Use your arrow keys, or click and drag with your mouse, while viewing the panorama to look around. Use the Shift and Ctrl keys to zoom in and out. This entry was posted on March 26, 2014, in News and tagged games, Kid friendly, kid safe, news, newsletter, online, Pirate101, Pirates. If you thought yesterday’s article on Advanced Pets was interesting, don’t miss our Developer Journal on MMORPG.com about Advanced Companions! Soon you’ll be putting your crew to work for you and bringing all new levels of strategy to your game–coming to a Test Realm soon! Companions can now be wounded, and they must either wait until they are fully healed or be cured by Miracle Mitch, a new NPC in Avery’s Court to get back in action quickly, but for a price. The new “healing center” is right next to the Buccaneer’s training house. Seems Avery has been busy building and reconstructing Avery’s Court over the winter! I think he’s getting ready for an Armada Invasion or something! Check out the new features and changes at MMORPG for the Pirate101 Advanced Companions Incoming! Can’t wait for the next Test Realm to open! Can you?! This entry was posted on March 25, 2014, in News and tagged games, Kid friendly, kid safe, news, newsletter, online, Pirate101, Pirates. Did you hear the news? In an exclusive interview, Massively online magazine for Gamers helps to announce a new update to Pirate101 Pets! When the new Pirate101 Test Realm opens, you’ll be able to check out a whole new Pet system, with a Great Petathelon, the introduction of Circus Maximus Pet Pavilion on Skull Island, new pets and more! If you’re familiar with Wizard101’s Pet Pavilion, you’re in for a treat with Circus Maximus. There will be vendors, suppliers, a Morphing chamber and yes even a Pet battling arena for your loyal companions to test their skills against other Player’s Pets! Check out the Massively article for more details. 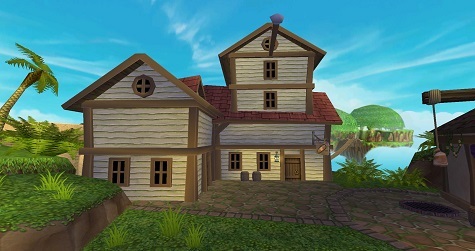 And don’t forget to stay tuned to Pirate101’s Tradewinds Tribune for game news and update information! This entry was posted on March 24, 2014, in News and tagged games, Kid friendly, kid safe, news, newsletter, online, Pirate101, Pirates. Near the beginning of the game, every Pirate meets up with Bonnie Anne. 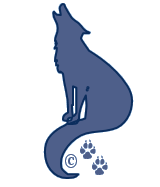 She’s a great Fox and good Musketeer who lends a helping hand from the start of your questing through the spiral. As you level up your companions they will occasionally reach epic promotion opportunities. 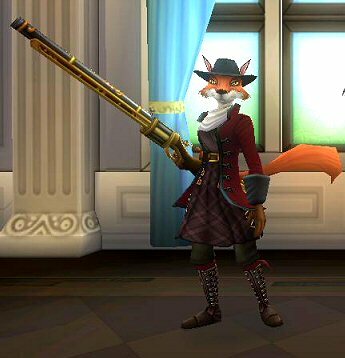 When you first meet Bonnie Anne she is a Fox Musketeer. Bonnie’s second epic promotion occurs when she is promoted to Level 31. At the end of this promotion quest, she becomes a Fox Sniper. 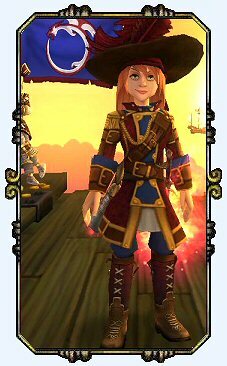 You can learn much more about her abilities and skills at this level from Pirate101 Central. After you applied training points and she reaches this level, she’ll tell you she needs to speak with you. Let’s go to a nearby Tavern so you can talk. This quest will require you to have access to Port Regal. This entry was posted on March 23, 2014, in Game Guides and tagged companion, game guides, game hints, games, Kid friendly, kid safe, locations, online, Pirate101, Pirates, promotion, quests, role play, Skyways, spells, Windlanes. Well today we had time to sit back and relax with some Pirate101 adventure. It’s been a while since we’ve been able to enjoy a quiet Saturday, so it sure was nice to play with our favorite characters today! Last we left Port Regal, we were heading over to the Scurvy Dog Hideout to pick up the Toloc Idol. We completed that quest, saved a few of the Marleybone crew, kidnapped the Governor’s daughter Mabel and deliver her to Catbeard. One of our Captains also helped Ratbeard pick up his latest promotion to a Rat Captain. And most of all, we were able to update some of our guides here on the Portal. Check ’em out! Quest Journal VII – Port Regal. This entry was posted on March 22, 2014, in News and tagged games, Kid friendly, kid safe, news, newsletter, online, Pirate101, Pirates.